If you couldn't already tell, we love seaweed. One of the biggest reasons is the power it has to change our planet. It requires no fresh water or arid land to grow — in fact seaweeds make food from just sunlight and seawater. And with little inputs, you'd think it'd take a while to grow, but just the opposite. Some seaweeds can grow 5 to 10 inches in a single day. Seaweeds can also improve the health of our oceans by absorbing carbon dioxide, and helping to reduce acidification. The more you eat, the more we grow, and the more carbon we remove together. For thousands of years and for millions of people, seaweed has been a dietary staple. The so-called new kale is chock-full nutrients, vitamins, amino acids and fats that are necessary for you and your family to thrive. Seaweeds are one of the most nutritionally dense plants on the planet, and also the most abundant source of minerals in the plant kingdom as they have access to all the nutrients in the ocean. Scientifically described as “macro-algae”, seaweeds are evolutionary miracles. Indeed, they are the ocean’s superfoods. Some of the most ancient forms of multi-cellular life, these organisms have survived through the eons — converting sunlight into abundant nutrition for thousands of other species that have come and gone. Our seaweed farms are innovation at its finest. 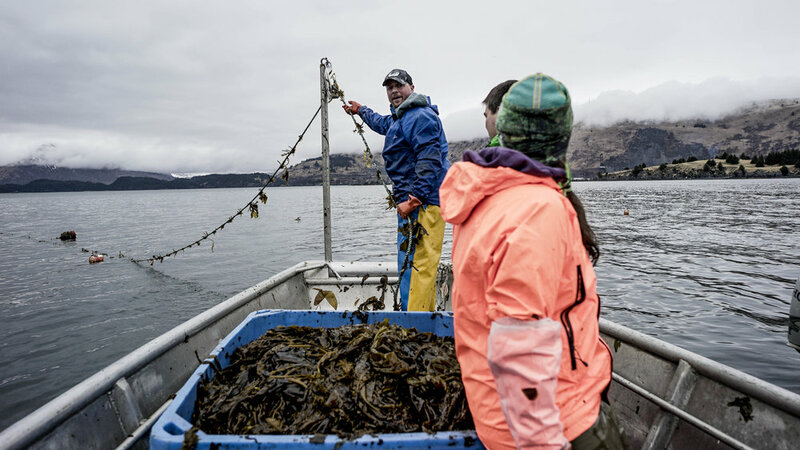 In Kodiak, Alaska, we operate the largest commercial seaweed hatchery, propagating local spores, and seeding lines for outplanting by local fishermen in their offseason. In Baja California — the renowned gastronomic and food growing region and the Wine Capital of Mexico — we started by partnering with the local University to grow our seaweed in a dynamic biological environment, learning from renowned seaweed experts and grad students alike. We’ve taken all that expertise and are thrilled to now be operating our very own onshore farm in the same region.